I recently had the pleasure of attending the EACUBO Annual Meeting in Buffalo, New York. The conference brought together College and University business officers from throughout the Northeast with the goal of sharing new ideas regarding how institutions can meet the financial challenges of a quickly changing higher education landscape. Among the topics included were succession planning, sustainability, and risk mitigation. A common underlying theme was how to use metrics and data analytics to support institutional efforts to make better decisions. Last week I had the opportunity to attend the Higher Education Data Warehouse (HEDW) Conference at Oregon State University with my colleague, Joe Bertram. The conference brought together over 350 attendees from over 150 institutions. Whereas last year’s theme was “data governance,” this year’s was around “Artificial Intelligence (AI) enabled analytics” and “machine learning.” I wanted to spend some time discovering and learning how colleges and universities are tackling the data warehousing and data analytics initiatives at their respective institutions. 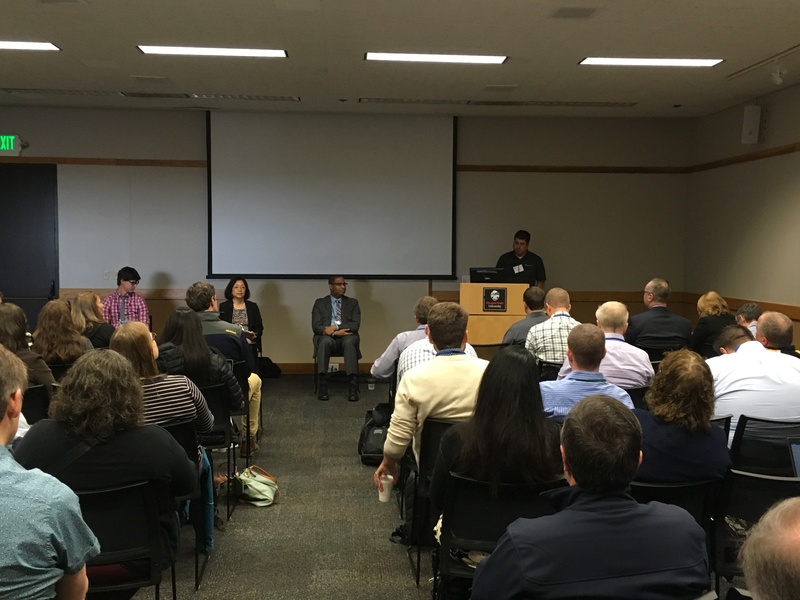 I recently attended the 28th Annual Ithaca College EdTech Day with HelioCampus Director of Implementation Services, Susie Chang. Ithaca College made its campus available to over 60 vendors and 200 attendees, ranging from regional vo-tech schools, local high schools and regional community colleges, as well as many of New York’s public and private colleges and universities. I recently had the opportunity to visit Orlando, FL to attend the Enterprise IT Summit with HelioCampus CEO, Darren Catalano. The conference brought together members of the NACUBO, EDUCAUSE & AIR Associations, and the impetus behind the conference was to bring together leaders from across IT, IR and Finance to discuss ways they can work together to address institutional challenges. It suffices to say that challenges and opportunities abound.